Having a space for yourself that allows you to escape from the world is something we all need. Check out how to take your bedroom to the next level with these cute ways to make your room feel like home! Lighting candles when you’re all snuggly and relaxed is the best way to unwind from a busy day. Scented candles are just a bonus. Cushions and throws are just little extra things that make a room so homely and cozy. Having ultra soft snuggly pieces makes everything better anyway. Starting from scratch means going wild with colour! Making everything match is the ultimate way to make a room feel just like home. Having photos of family, friends and pets makes home feel so much closer – trust me. Being sent cards is THE best thing. To receive mail knowing you’re in someone else’s thoughts is so fulfilling. Even if it’s just to say Hey! Bunting is mega cute for any bedroom, and adds that extra level of character to spice up your space! As long as your room isn’t as hot as the Sahara Desert (like mine), flowers make a room so full of light and colour you’ll be dying to get them in a vase. The true level of adulthood is being able to purchase cutlery and pans, making them match is super satisfying and makes you feel so grown up. Drinking from a lush glass just makes anyone feel like the classiest gal ever. These are definitely a MUST. They’re totally adorable, relaxing and homely and will send you right off to sleep. Scents, pictures, and familiar sounds will certainly make home feel close, especially if those scents are of baking bread or chocolate chip cookies! Cold hard wood floors are the worst things to wake up to in the winter months. Get a fluffy rug, place it next to your bed, and cozy up! Everyone has a comfort toy or something they just can’t let go of. Keep them, and if you’re embarrassed by them then hide them away when you’re mates are over, and whip them out when you’re feeling lonely! Having trouble filling a blank wall? Tapestries are beautiful ways to jazz up a spare wall and they’re incredibly inexpensive. Being home typically means mama’s going to end up making your bed at some point for you. Making it yourself not only makes the room look so much tidier, but will feel like an accomplishment! Sooner or later you will be inclined to a 4am feasting of food, so make sure you’ve got some yummy treats stocked up that won’t be eaten by your mate’s! TIP: hide treats in the salad or cheese drawer. There is nothing better than clean sheets and a fresh smelling room. Enough said. Tidying up may be the dullest job in the world but once your room is “spick and span,” it’s the best feeling! Then you can just sit back and enjoy your masterpiece. The only way you’re going to love your room is if you spend time in there and learn to looooove it. This is your space and perhaps for the first time, a spot you can call just yours. No sharing allowed. Put whatever and whoever you want in there and have it just the way YOU like it. What are some other ways to make your room feel like home? Share in the comments below! 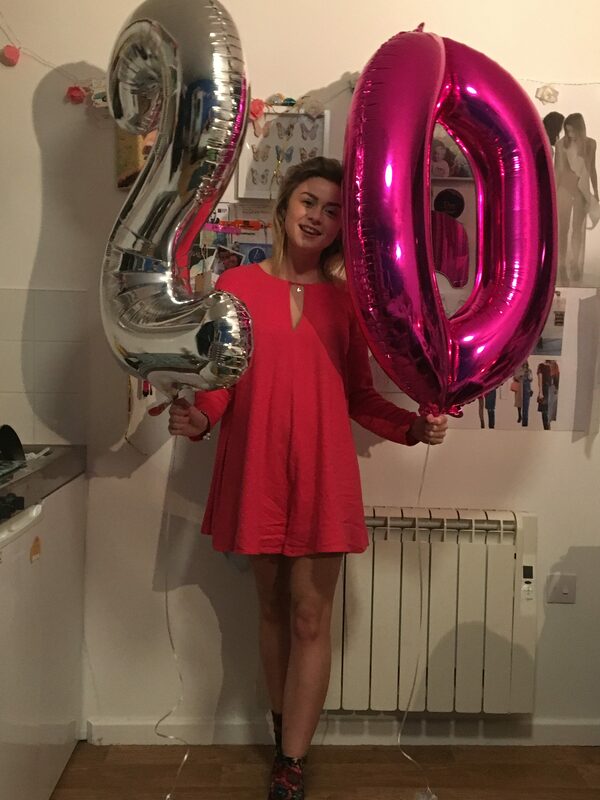 "My Real Name is Ellen, my mum calls me E and my friends call me Elle - just like Elle Woods because I'm a bit blonde sometimes, you can chose.I'm a first-year fashion communications student studying in (mostly) sunny Bournemouth. I love everything to do with the ever-changing fashion world that we are all apart of and what it has to offer us.I promise to always be honest, tell everything as it is and hopefully make you smile a little.e x"